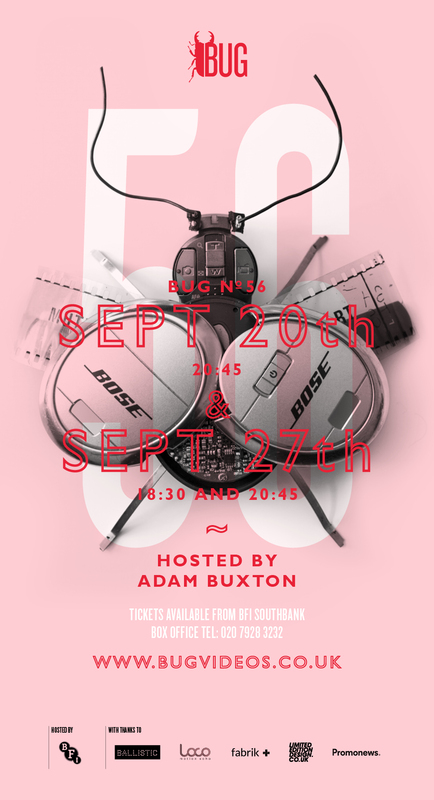 Bug is back, showcasing music videos on the big screen, hosted by Adam Buxton. 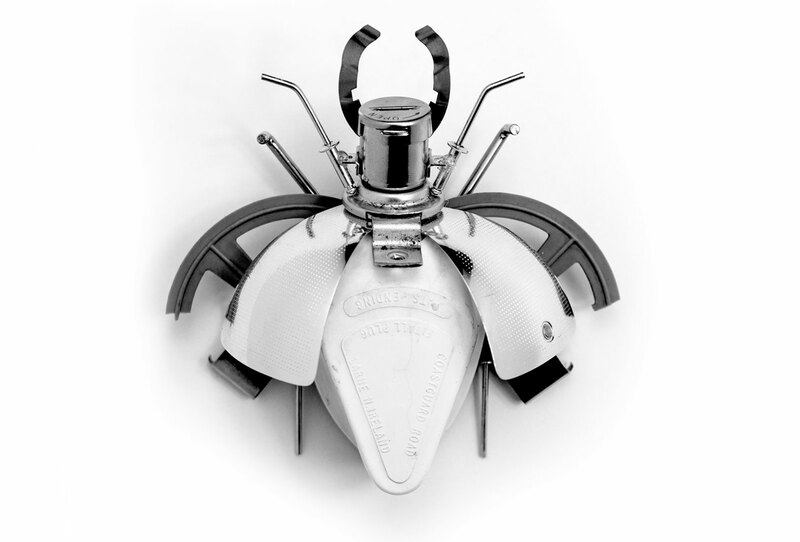 Each event has its own model bug crafted from pieces of dismantled film and music equipment. 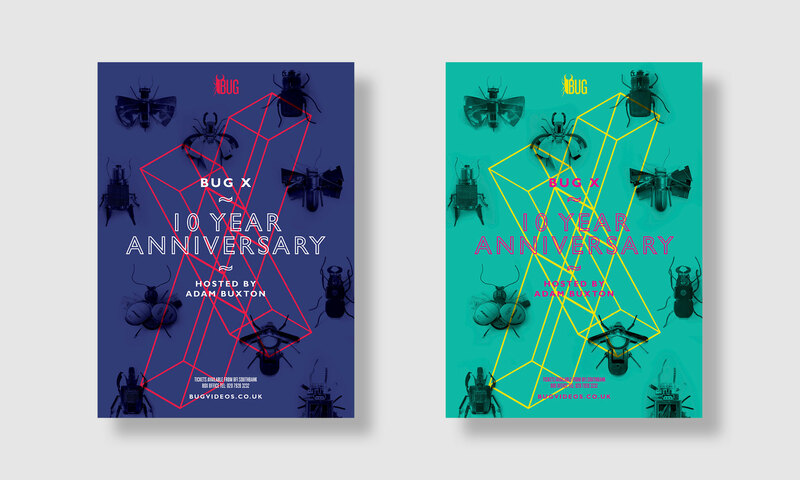 Each bug is photographed from overhead, mimicking old taxidermy, and is coupled with big bold typography and a paired back colour palette. 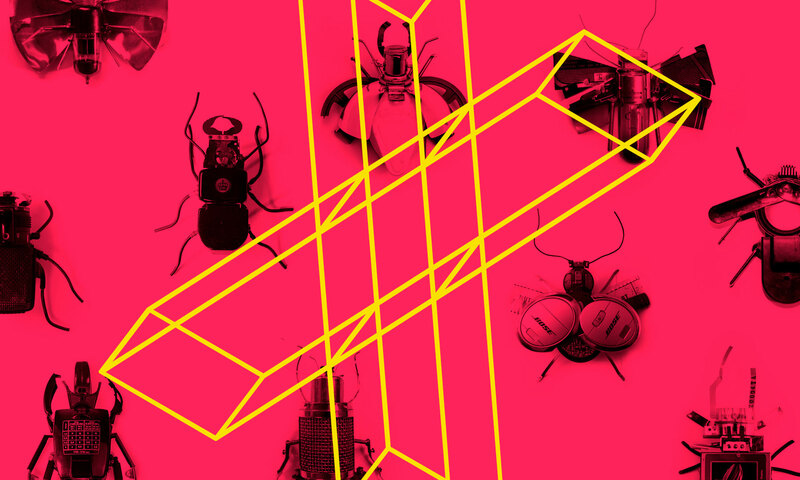 BUG’s objective is to give big-screen exposure to the most awe-inspiring new work in music videos. That means everything from work by well-known masters of the medium to young newcomers working on zero budgets. 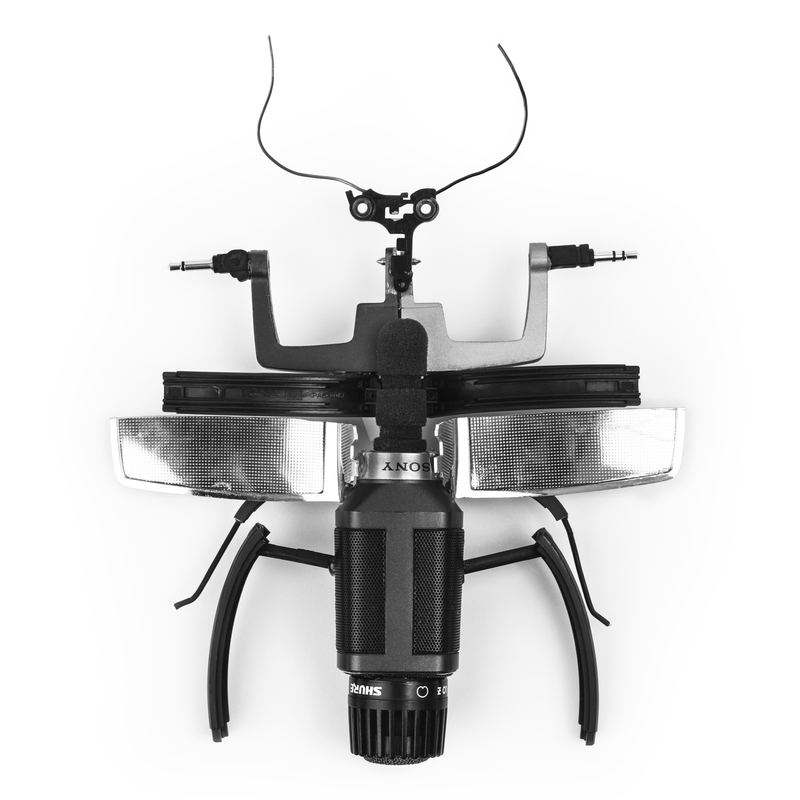 The sub-heading of BUG – The Evolution of Music Video – refers to the new democracy in videomaking created by the digital revolution – both in creating and distributing work. 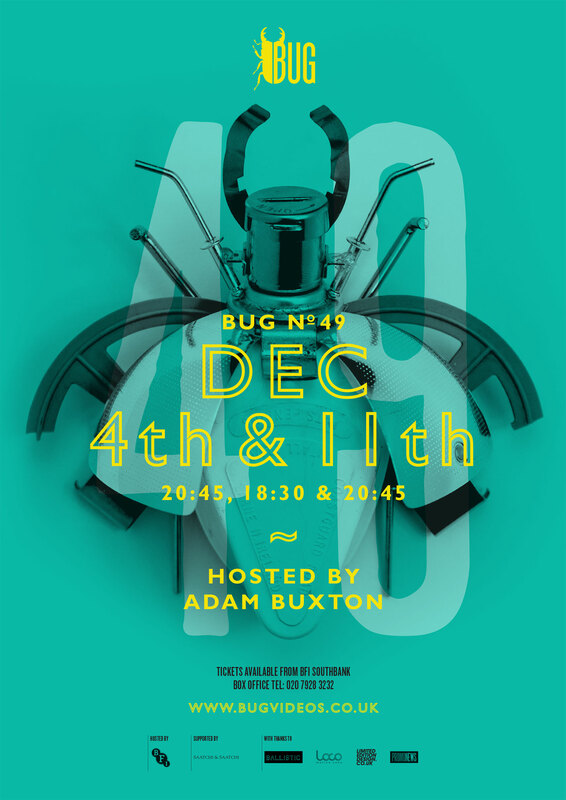 BUG is all about brilliant visual ideas, and as such BUG consistently unearths amazing new filmmaking talent. See more here. Not sure where that decade went, but it’s been a fun ride. 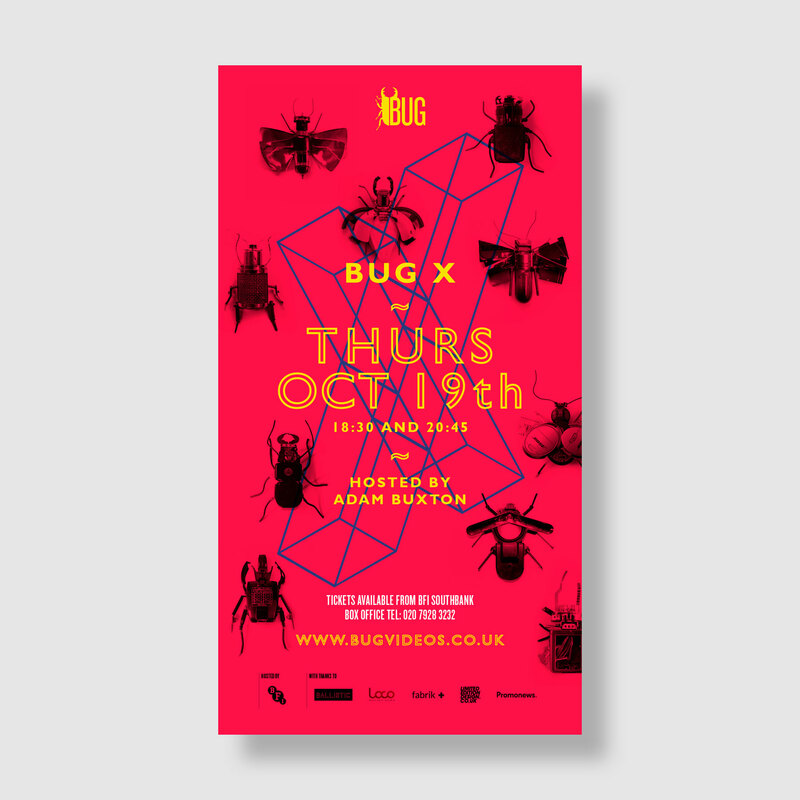 Check out Bug X is at the BFI on October 19th. 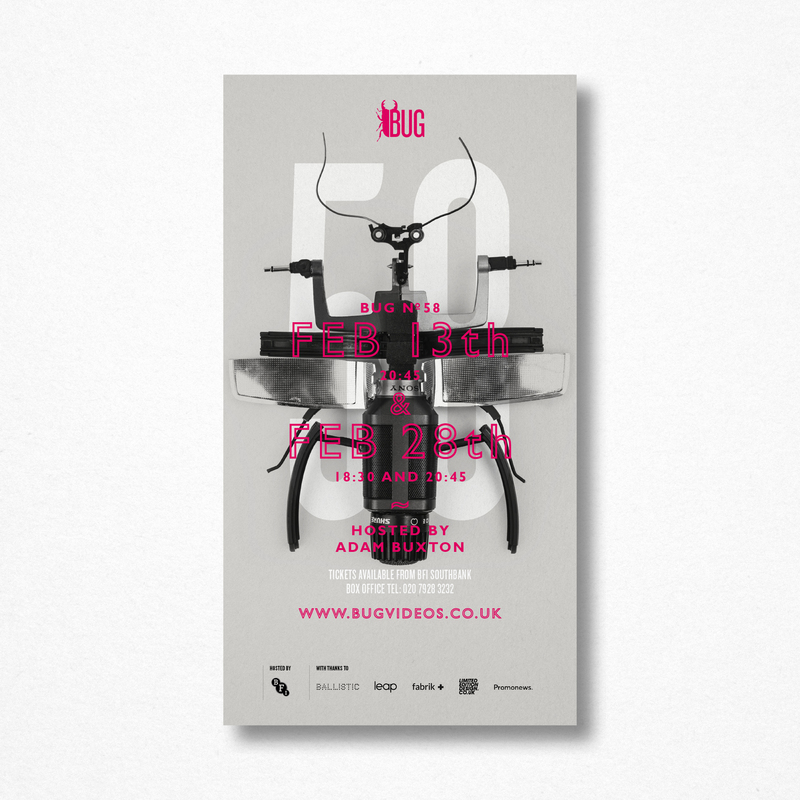 Our latest artwork for the Bug 50 is now done. To celebrate the milestone, we got out the gold paint and produced a special, golden anniversary model. 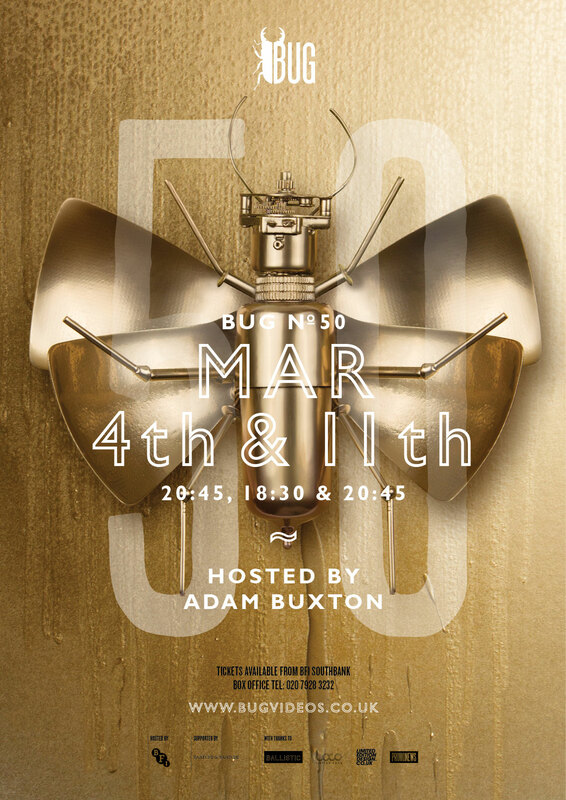 Expect the usual antics from Adam Buxton, tickets are now online at the BFI. 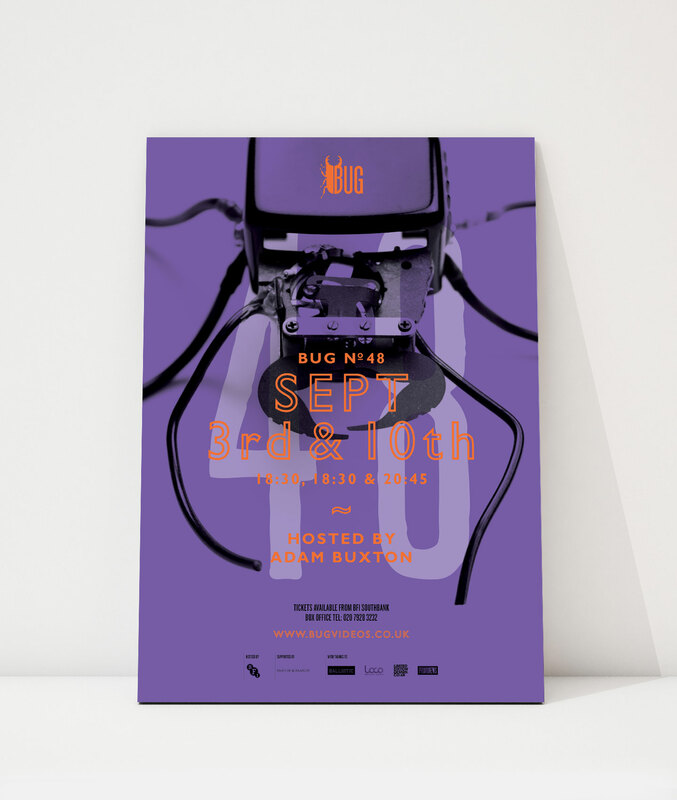 Our latest poster for Bug 48 – tickets are on sale now at the BFI.